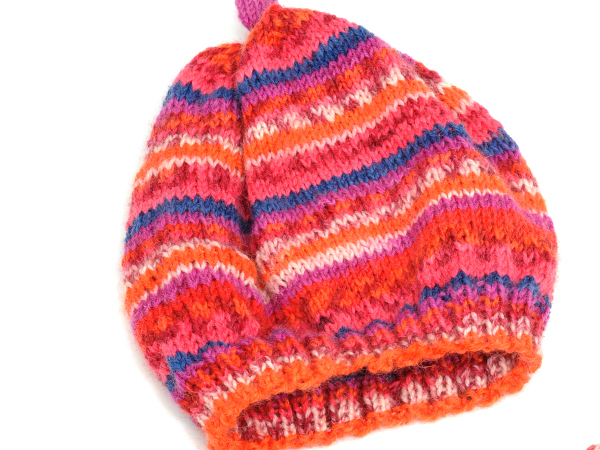 Many families arrive at the delivery rooms with very little if any woollen garments to dress their new baby in and really appreciate the beanies which are gifted to them free of any charge to take home. When you have finished, drop off your beanies at any Government hospital. Cast on required number of stitches as above. Work in double rib to length required as above. Decreasing row *K2 tog, P2 tog, repeat from * to end. Work 6 rows in single rib. Break off yarn long enough to thread onto a needle and pull through stitches. Sew up with a flat seam.